The School maintains two libraries in both Planning and Architecture campuses. The Library of the School continue to play an important role in the documentation and dissemination of knowledge and information in the areas of planning and architecture allied fields. 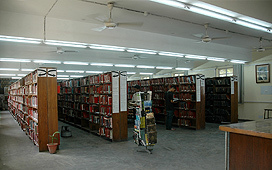 The Library of the School has been acting as a crucial resource centre to meet the information needs of its clientele, including students, teaching faculty, staff members of the School, research scholars, students from India and abroad and other visiting faculty and users. 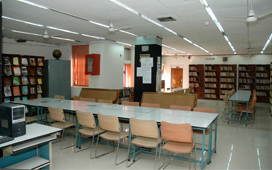 The library is equipped with computer facilities and electronic facilities such as online resources to support the teaching, learning and research activities of the School.